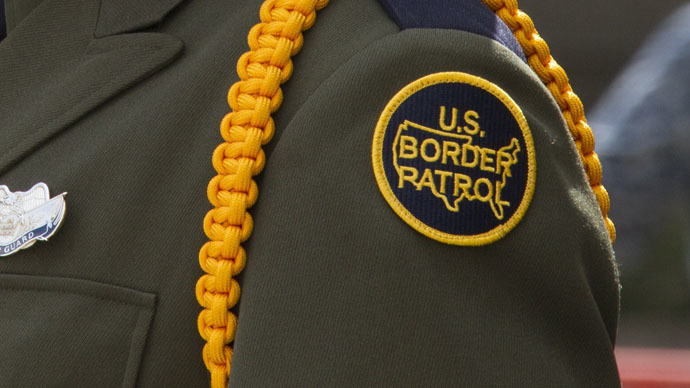 A US Border Patrol supervisor pleaded guilty in a federal court to “video voyeurism,” admitting he spied on his female coworkers by planting a video camera in the bathroom and then lied to investigators about it when discovered. After the hearing on Thursday, Gonzalez apologized and said he was taking responsibility for his actions by pleading guilty, the San Diego Union-Tribune reported. “I want to express my deepest apologies for what I’ve done. I’m sorry to people I’ve hurt or affected by this,” he said. Gonzalez faces up to 5 years in prison and a $250,000 fine for making false statements to a federal officer, and one year in prison and a $100,000 fine on each count of video voyeurism, reported Courthouse News Service. The sentencing is scheduled for August 17. Several of the victims sat in the front row during the court proceedings, but did not wish to speak with reporters. According to the details released by the FBI, Gonzalez acknowledged he had captured video imagery of the “unclothed private parts” of seven female federal employees who used the bathroom between July 24, 2013 and April 11, 2014. The length of the videos ranged from 24 seconds to 9 minutes, 17 seconds, the FBI said. Investigators combed through almost 20 hours of video footage, Assistant US Attorney Lara Stingley told reporters outside the court. Gonzalez had more footage, but he confessed to destroying the memory cards and the hard drive of his computer before law enforcement had a chance to seize them.